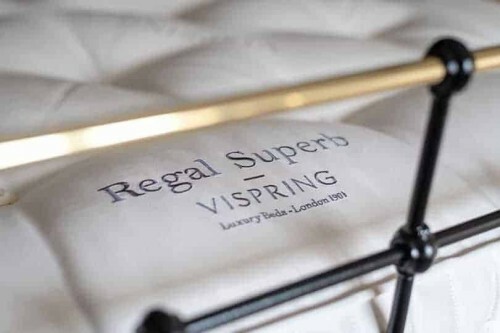 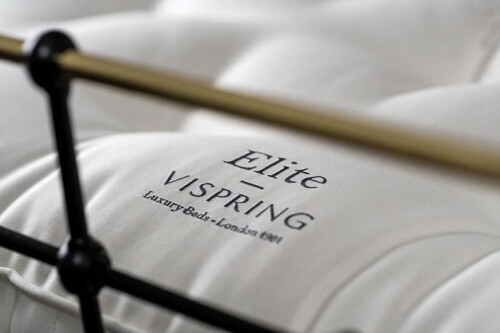 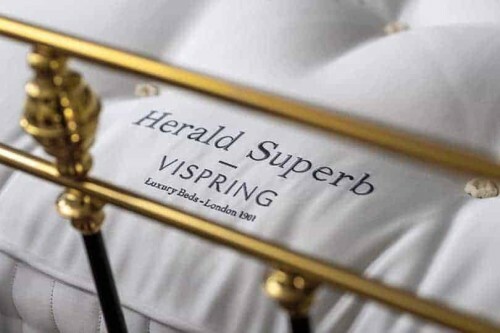 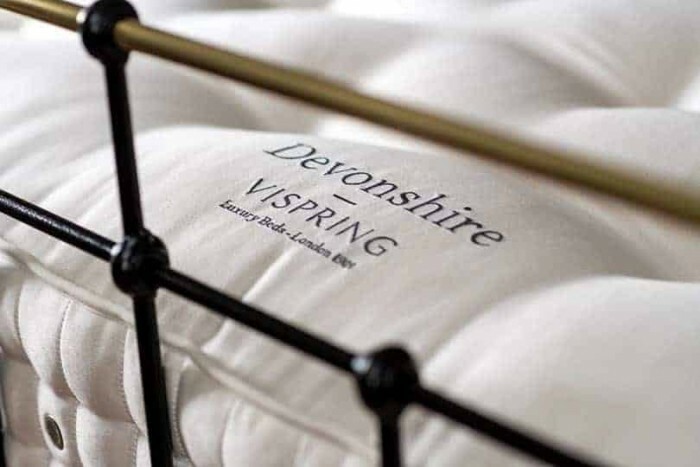 Vispring Devonshire Luxury Mattress | Wrought Iron and Brass Bed Co. 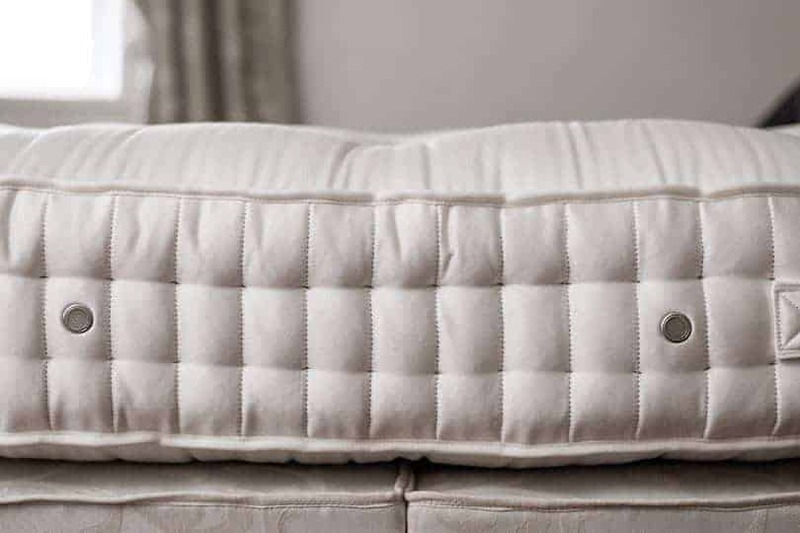 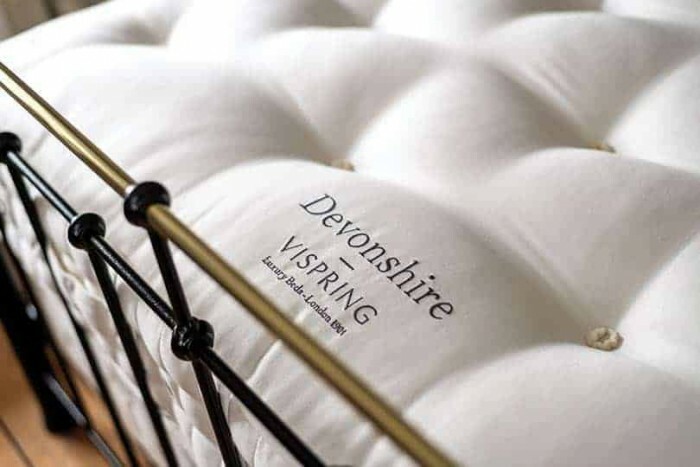 The Vispring Devonshire pocket sprung mattress, is upholstered exclusively in hand-teased Devonshire wool and platinum British wool fleece. 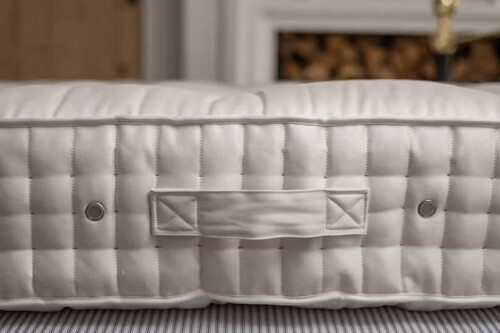 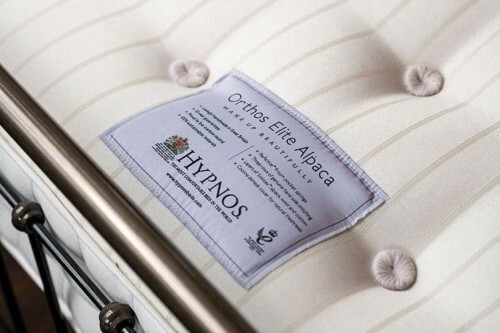 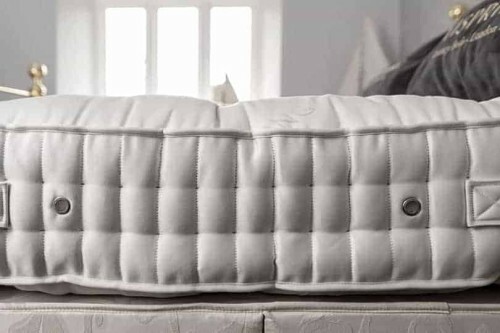 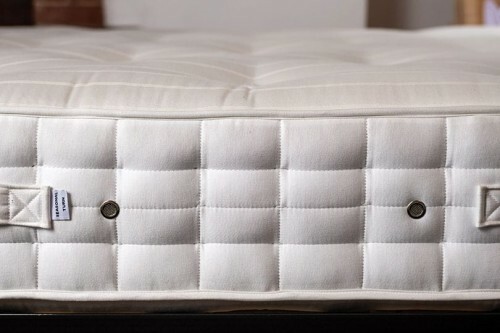 Indulgently cosy and offering supple support, the platinum natural fibres mattress, offer sensational comfort and luxury. 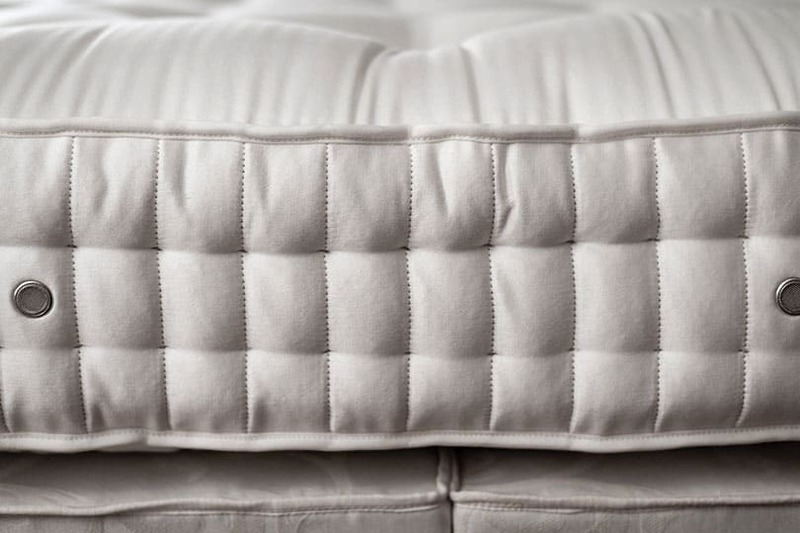 With a single layer of hand-nested springs, in a traditional honeycomb formation and finished in a soft to touch, chemical free cotton viscose and wool ticking. 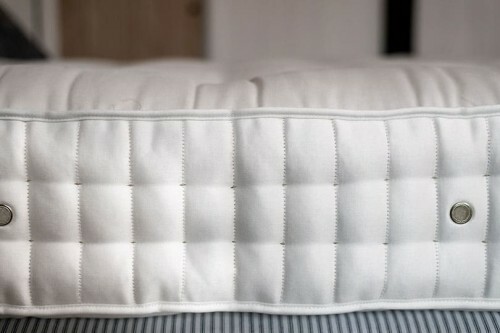 To help provide a hygienic and cool sleep environment. 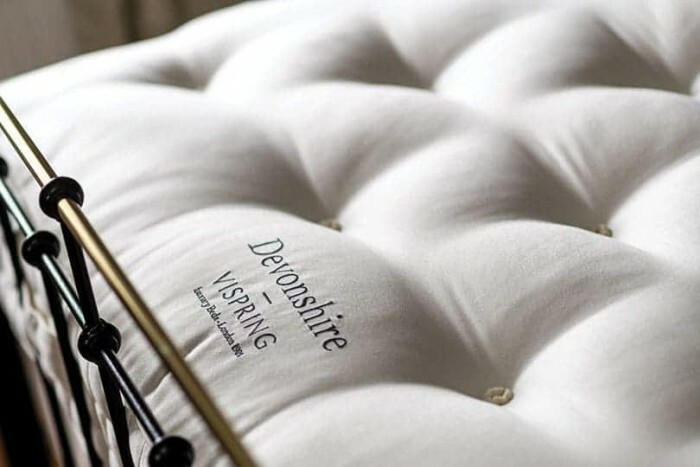 The Vispring Devonshire mattress shall bring a cosy and comforting sleep environment, to your hand crafted iron bed.